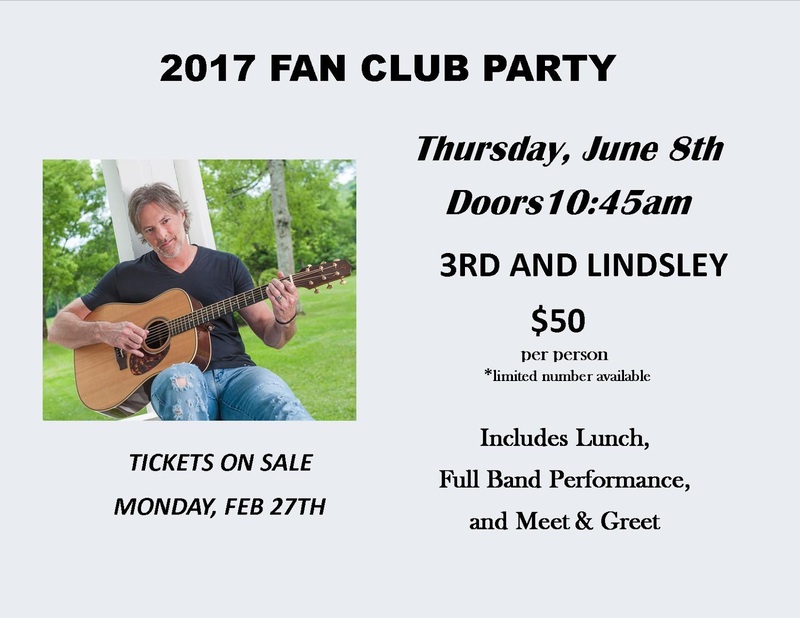 2017 Darryl Worley Fan Club Party On Sale Now! The 2017 Darryl Worley Fan Club party will be on Thursday, June 8, 2017 at 3rd & Lindsley. Tickets are $50 per person and includes lunch, a full band performance, and Meet & Greet.